At Trinity, we Rock!!! 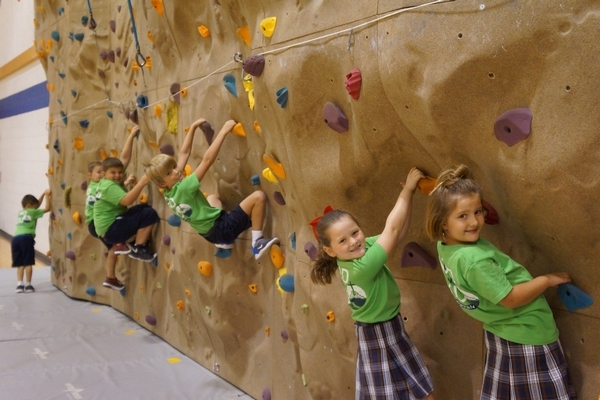 Trinity School is the only school in the Crossroads with a Climbing Wall! 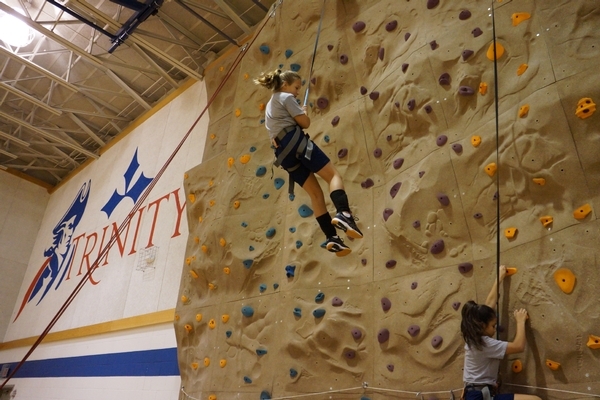 Our climbing wall is of the highest caliber and would be most often found on a college campus or in a large ﬁtness facility. The wall has over 1,000 sq. feet of climbing wall surface with bouldering ropes topping out around 13 feet and roped climbing topping out at about 23 feet. It features two TruBlue auto-belays that will lower a climber safely without the need of a partner. 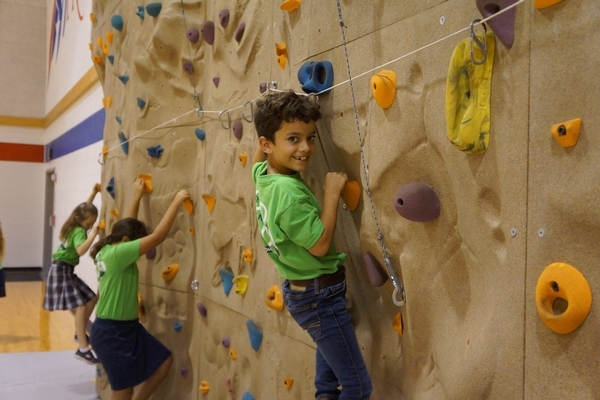 Climbing teaches agility, balance and coordination. Climbing advances problem solving technique, builds trust, partnership and teamwork. 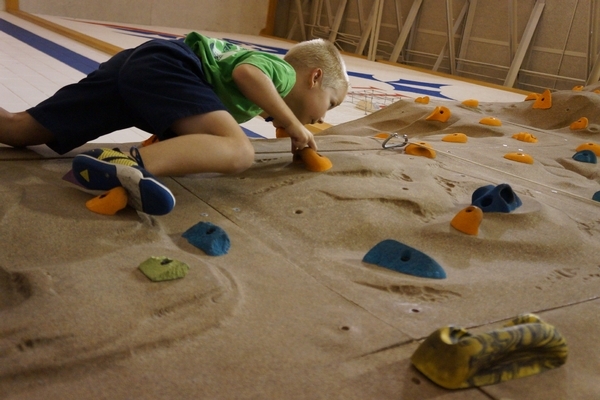 Climbing is for all ages and skill levels. Handholds can be moved to create different difﬁculties of climbing and easy routes can be laid out to ensure success. By changing the holds, you can create a whole new set of problems for participants to solve and conquer. We are so excited about our wall and would like to share it with you. If you are interested in using the wall for individual use, team building activities or family fun nights, please contact us. For more information, please contact us. We are here to help you and answer any questions you may have.